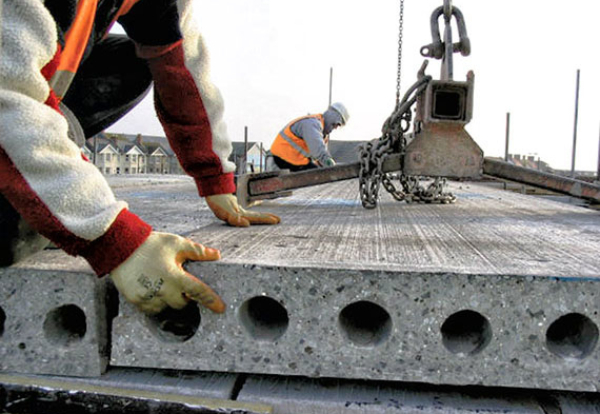 Pre-stressed hollowcore flooring specialist Acheson & Glover Precast has been placed into administration by its parent company after being weighed down by losses for several years. The firm currently employs 105 people mostly at the head office in Ballygawley, County Tyrone, with around 20 support and sales staff based in Birmingham. Acheson Holdings said the group’s other trading company, Acheson & Glover Limited, which supplies walling, paving and flagging products is unaffected by the decision. This part of the group employs around 230 people generating revenue of around £20m, and is enjoying its best performance for eight years with a strong orderbook. The decision to call in administrators at AG Precast follows an in-depth review of the £18m revenue operation over a 12-month period following a downturn in market demand for its flooring and precast in the UK. Earlier this year, the company closed one of its two factories in Northern Ireland, but demand has continued to fall by around 40% leading to further financial losses. A statement from the main board said: “We are disappointed to have to make this decision and we will be doing all we can to minimise its impact. “Our people are the very heart of our business and we fully understand how difficult this will be for our colleagues so the decision to cease precast manufacturing has only been made after lengthy consideration. “Earlier this year we consolidated our precast operation into one plant and set about a major cost-reduction programme. However, both margins and volumes continued to fall. “Over the past 18 months our separate Acheson & Glover Limited business which produces high added-value products, largely for the specification market, has continued to grow profitably. 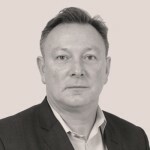 Insolvency and corporate restructuring specialist Keenan CF have been appointed administrator.